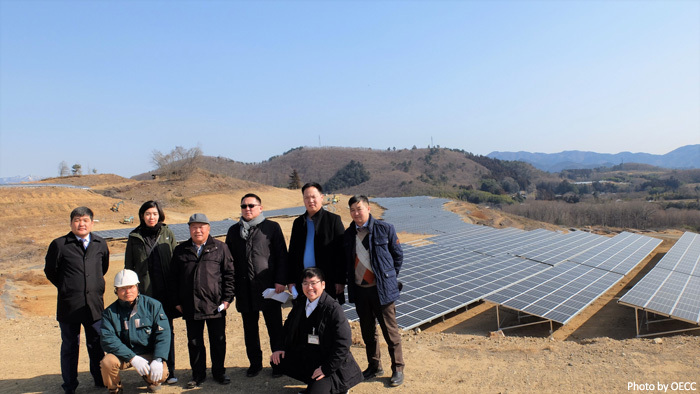 Officials of the Government of Mongolia visited Japan from February 11 to 15 and held meetings and site-visits aiming at promoting JCM project development in renewable energy sector in Mongolia. In Mongolia, there are shortage of power supply and air pollution problem caused by thermal power plant in winter. As a solution, the solar power business has expanded and more 50% of them are implemented as JCM projects. Also it contributes to achieve Mongolia’s GHG emission reduction target. On the other hand, the Government of Mongolia is considering to apply obligation for introducing storage battery by power generation company because the capacity of power transmission and distribution is tight owing to increasing power generation amount. 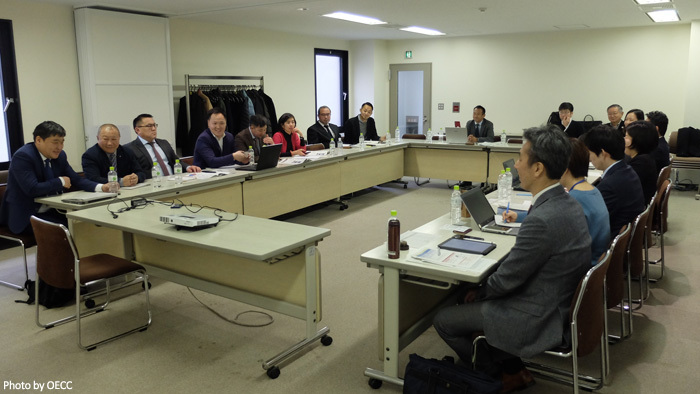 The Ministry of Environment, Japan (MOEJ) and stakeholders of the JCM had discussion about challenges and ways to promote the JCM projects in the meeting. 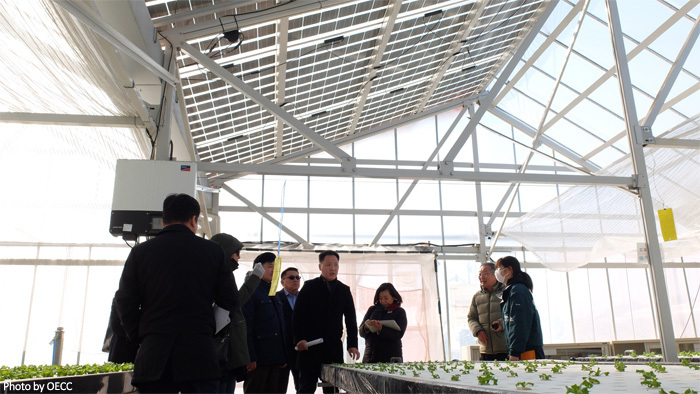 Also they visited companies which provide solar power and storage battery technologies and shared information on how to introduce them including method, timeline and price for installation. Participants from the Government of Mongolia commented that the study tour provided a good opportunity to get useful information and may be utilized for the energy measures and technology introduction.